If you sell Kiribi lighters, eventually you're going to need some flints. Why not pick the same ones your lighters came with straight from the factory? 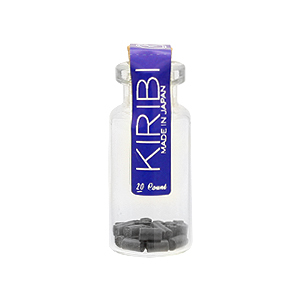 Kiribi lighter flints are soft and are priced to be the least expensive option on the market. Fitting to the Kiribi style of unique presentation, even their flints are offered in a manner different from the usual plastic pack or finicky rotating dispenser: a tiny glass bottle with a cork stopper.